Fiesta Friday! 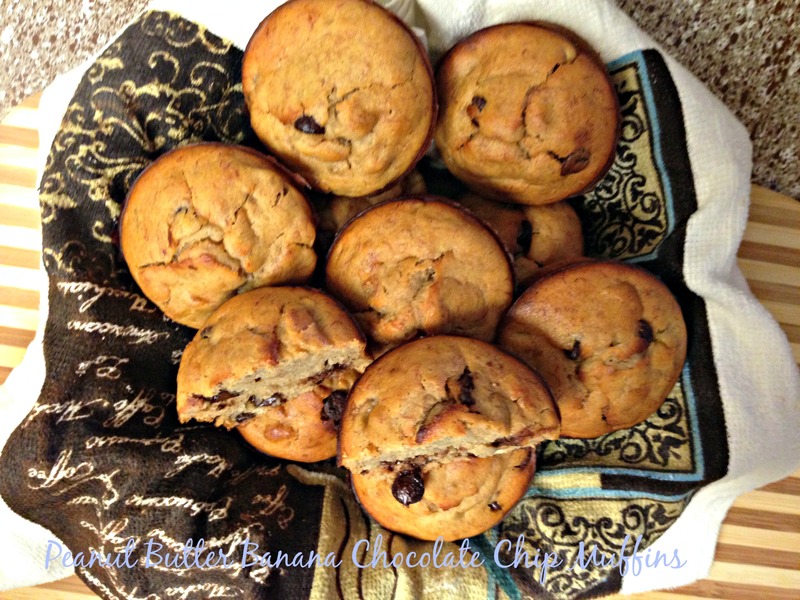 This week I am bringing some delicious, moist, flavorful and healthier yummy muffins. I love muffins and make them at least once a week to take to work, for a quick after school snack for my son …always just a great on the go or anytime treat. These turned out really good, full of that wonderful peanut buttery taste. 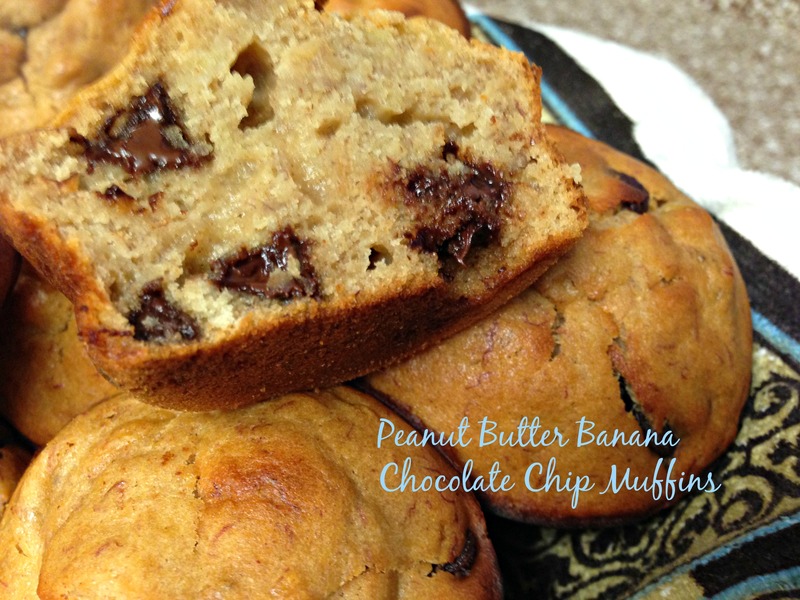 Love the peanut butter, banana and chocolate combination …yum! I hope the crowd over at Angie’s, The Novice Gardener enjoy them as well. 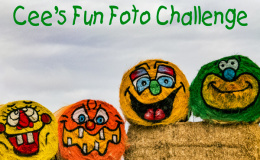 Come on along with me and join in on the fun. Preheat oven to 400°F. Lightly grease a 12-cup muffin tin and set aside. In a large mixing bowl, beat together the mashed bananas, peanut butter, honey, yogurt, egg, oil and vanilla until smooth. In a small mixing bowl, stir together the remaining ingredients. Add to the wet ingredients, and stir until barely combined. Divide batter among the prepared muffin cups. Bake in preheated oven for 20-25 minutes, or until a toothpick inserted into the centre of a muffin comes out with a moist crumb. Let cool in the pan for 10 minutes, then transfer to a wire rack to finish cooling completely. Happy weekend everyone! And as always, Happy Baking!! Hey Arlene, from one muffins lover to another, great recipe, your muffins look super soft and moist, yum! These look lovely and moist Arl! And a great little snack to pack in lunch boxes too! Thank you for bringing these to the party – Happy Fiesta Friday!! Thanks so much Selma! Yes, they come in handy during the week for work and school. Hope you are enjoying your weekend! Wow Arl, these look so moist and delicious! Perfect for any meal or snack. I am sure the people you work with are envious. It is also a great way to make it through the morning and keep your focus. these are a must try!! Thank you!! 🙂 They were good!